will be displayed. Using the buttons on the form, you can single step the trace, or adjust the speed as desired. You can even play it backwards. The traced data can be saved for later replay if desired. XTK can also locate shorts in gds data. 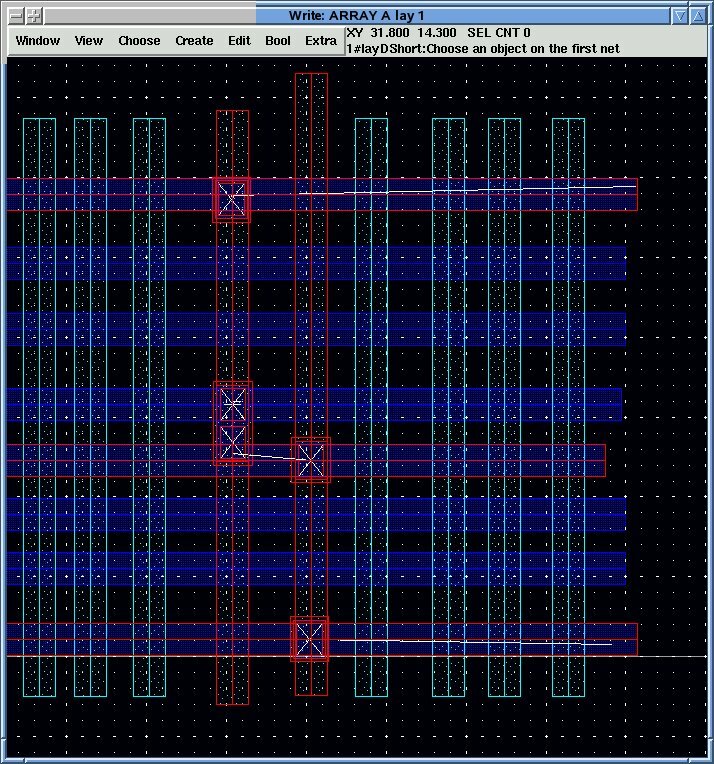 In the first shot the top and bottom blue wires are shorted together thru some vias. The second shot shows the traced short in the short window. 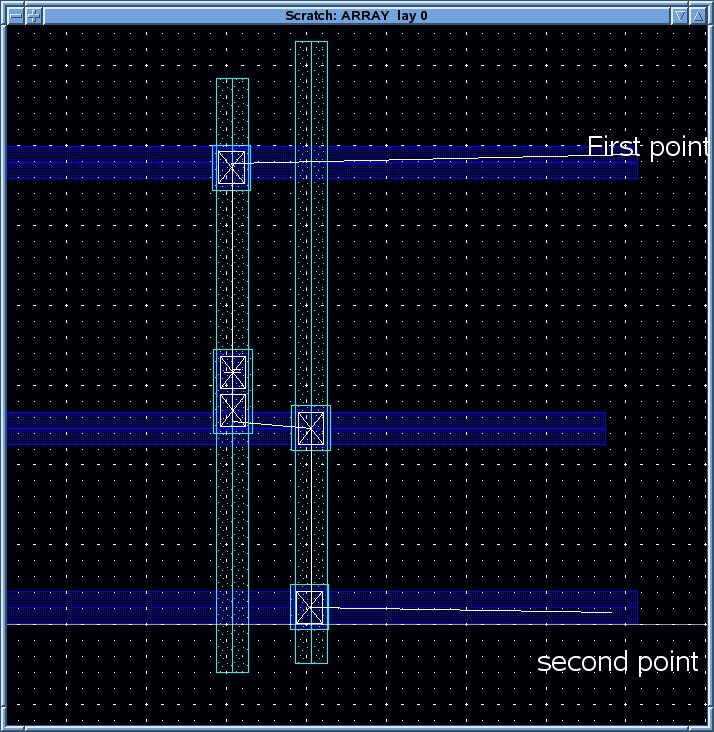 The short was traced by issueing the short locate command and clicking the 2 points shown in the image. Notice all of the elements that comprise the short are shown in the "normal" color and a single white path traces the short itself. The third shot shows the original window with the short traced. In the original window, the elements comprising the short are shown in yellow (or any color you choose) and the short path is shown in white. 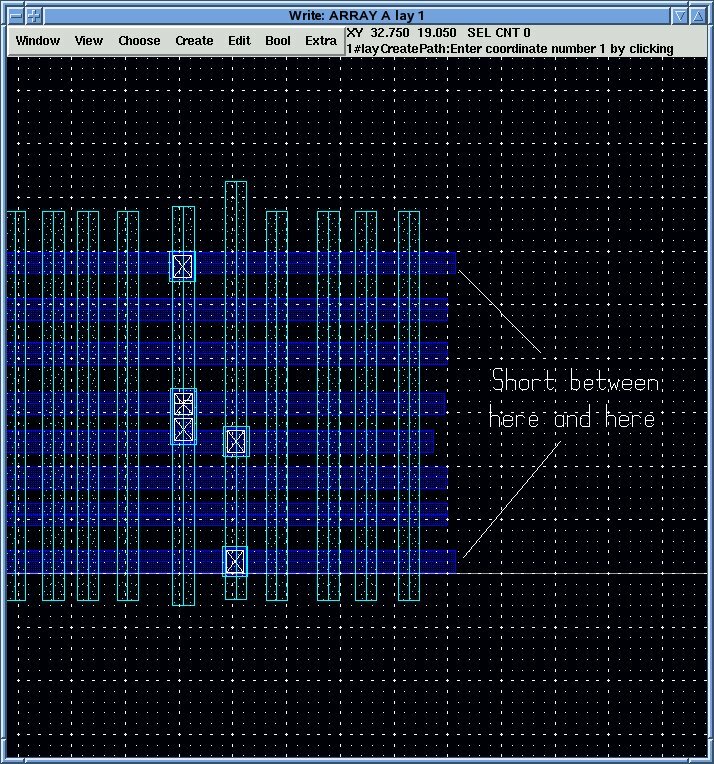 The short window provides a simpler image to trace the short while allowing you to correct the short in the original window. The locator is very easy to use requiring you only to identify an object on each net you think is shorted. Both the short locator and trace commands are threaded, so if you have a machine with more than one processor, the command will use up to 4 processors to further reduce the elapsed time required for tracing. This is especially useful for tracing power and ground nets.